Karni Mata temple Bikaner is situated at Deshnoke which is 30 km from Bikaner in Rajasthan. This temple is 500m away from Deshnoke bus stand and also from Deshnoke railway station. To reach here , one can also take bus or taxi from Bikaner. Karni Mata temple is open from 4 am in the morning. The Charan priest performs ‘Mangala Ki Aarti’ and offer Bhog/Prasad. Devotees offer milk, grains and sweets to these rats during the time of Aarti. In this temple, rats are usually seen in large number at the time of Mangla Aarti and also during evening aarti at 7 pm. Rats eat the prasad at Karni Mata Temple. Thereafter, it is distributed among devotees. According to the folklores, Karni Mata had a step-son, Laxman. He was the biological child of Karni Mata’s husband and her sister Gulab. Once, Laxman drowned in a pond called ‘Kapil Sarovar’ in Kolayat Tehsil while he was trying to drink water from it and died. Karni Mata begged Yama, the God of Death, to revive Laxman to life. At first, Yama refused but eventually he relented. He, then, reincarnated Laxman and all other sons of Karni Mata as rats. However, there is a different story depicted in the folk songs of Bikaner. According to this story, once an army of 20,000 soldiers deserted a nearby battle and came running to Deshnoke. When Karni Mata learned about this, she became furious and wanted to punish the army. Eventually Karni Mata spared their lives and turned them into rats. Karni Mata offered these rats to stay in the temple. The army of soldiers, turned into rats, expressed their gratitude and promised to serve Karni Mata. Karni Mata temple is also known as temple of Rats. Karni Mata is believed to be the reincarnation of Goddess Durga. Approximately, 20,000 black rats live in the temple. These rats are held in high regard in the temple. These rats are also called “Kabbas ”. The rats in Karni Mata temple are admired and worshipped by people who travel great distances to pay their respect. Temple attracts visitors from all over India for religious purpose. However, tourists from around the world also visit to smother their curiosity regarding the rats in the temple. Karni Mata Temple was constructed in 20th century in Mughal style. There is a beautiful marble façade with solid silver doors in front of the temple. Within the temple, there are more silver doors with separate panels. These panels showcase the various folk tales of Karni Mata. The image of Karni Mata is enshrined in the inner sanctum. Karni Mata Temple was built by Maharaja Ganga Singh of Bikaner. Karni Mata is the kuldevi (Patron deity) of the royal family of Maharaja Ganga Singh. It is believed that Maharaja Ganga Singh had a dream in which Karni Mata asked him to protect the rats. Therefore, he constructed bronze wire mesh over the courtyard to protect the rats from birds like eagle , vultures etc. 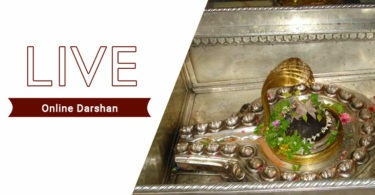 Karni Mata is widely worshipped in Bikaner and Jodhpur since the founders of Bikaner and Jodhpur were devotees of Karni Mata. Out of thousands of rats in the temple, there are few white rats which are holier than the black rats. They are believed to be the manifestation of Karni Mata and her four sons. To sight them is considered blessing and people put in extra efforts to sight them. If you manage to see a white rat then it is said that your wish will be granted. People visiting the Karni Mata temple should beware of the rats around as they are huge in number and they may step on them. Make sure that you do not step on them as they are auspicious. It is advisable to drag your feet rather than lifting while walking in the temple. Dwar Bhent– It is distributed among the priests and workers. Kalash Bhent – It is utilized for temple maintenance and development. Karni Mata fair is held twice a year at Deshnoke. During Navratras thousands of people travel by foot. March to April – During Navratras from Chaitra Shukla Eekum to Chaitra Shukla Dashmi. September to October – During Navratras from Ashwin Shukla to Ashwin Shukla Dashmi. 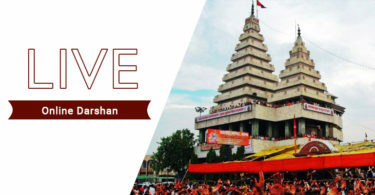 The biggest festival at Karni Mata Temple takes place in Bhadrapada. People in huge numbers travel to Karni Mata Temple on foot from Bikaner and nearby places. Nearest Airport to Karni Mata Temple – Jodhpur airport is 250 Kms away, & Jaipur airport is 330 Kms away from Bikaner and all major metros are well connected with these airports. Nearest Railway Station to Karni Mata Temple – Bikaner Junction (BKN) is the most popular railway station and its 32 kms from the temple. If you are traveling from Delhi then best route is to take a train Udyan Abha Toofan Express (13007) from Delhi- ShakurBasti to Bhatinda and the train 24887 Haridwar Barmer Express from Bhatinda to Deshnoke (Temple is only 1 km from Deshnoke railway station). Nearest Bus Stand to Karni Mata Temple – All popular Bus travel agents have regular service to Deshnoke Bus stand. Temple is only 500 m from the bus stand. If you have any query on Karni Mata Temple, please leave your comment below, we will get back to you at the earliest.